The Federal Government is set to train at least 25,000 civil servants by 2020. The first and second batch of 3,500 (1,500 in the first batch and 2,000 in the second batch) will be trained next month by Manpower Development Institutions (MDI) in the country. 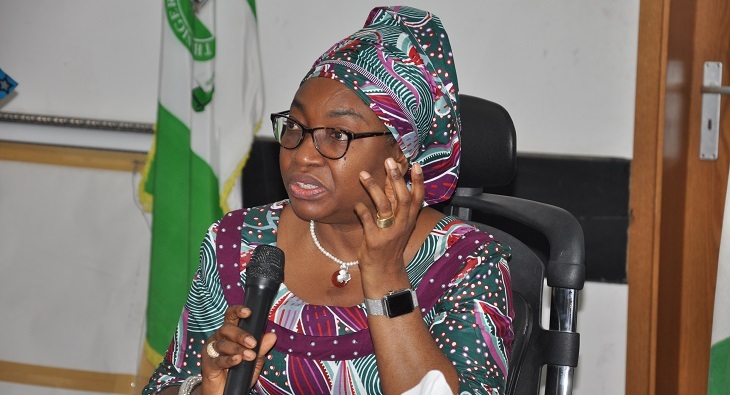 The Head of Civil Service of the Federation (HoCSF), Mrs. Winifred Oyo-Ita, disclosed this Tuesday, during a meeting with the chief executive officers of MDIs, where the 2019 needs assessment report was presented. According to her, the report followed the Training Needs Assessment (TNA) Survey of employees Service-Wide to facilitate the development and delivery of targeted and impactful training programmes across the service. Oyo-Ita said 1,076 civil servants on grade levels 7-17 were requested to complete the survey out of which 670 responded? For which they requested for training that are relevant to their areas of competences, contrary to general trainings in the past that were seen more like welfare package and for select few. The Head of Service said, “This is the first time we set out to do a detailed analogy of what the needs of the civil service are, according to their own interpretations. “All along, the trainings that have been down have always come from outside and imposed on us. Now, civil servants were given opportunity through a survey, where 1,076 questionnaires were distributed to them and 670 responded. “From these 670, an evidenced based assessment was carried out through data analytics from which we arrived at our findings. “From these findings, we have discovered that some of the preconceived notions people have about civil servants are wrong. For instance, a good number of the civil servants are computer literate hence, there is no need for rudimentary computer training. Almost 80 percent of them have gone beyond that, so we now know that computer training will now be on the intermediate level. “For those surveyed, the civil servants senior management cedar, prefer trainings on policy management, in areas that will guide them on leadership skills and so on. The middle cadre like from levels 10-14, were more interested in project management, strategic human resource management, personnel development training and so on. On the impact it will have on national development, Oyo-Ita said, “It will have impact because you are training people in the areas that they really need the skill. Another thing is that they do not want just the generalized training, they want specialized trainings in their fields. “From this survey we carried out, we discovered that a lot of the civil servants get promoted but not trained, they get posted to different MDAs but are not trained. So you can imagine, if all these civil servants are receiving trainings that are peculiar to the needs, it will definitely lead to an improved service delivery and of course the socio economic development of the country will be all the better for it. “Before now training was done as a welfare package because then people just wrote to us to say they want to train us, it was just to make the boys happy so to say. Training should not be a welfare package, it should be seen as a serious business to improve the work output of the civil servants. Also, we should get value for money being spent on training, we must see the output and the outcome of the trainings. According to her, in an era where nothing good is being said about the civil servants, it should be on record that, “civil servants developed this document, researched it, did the data analytics, the findings and the recommendations.